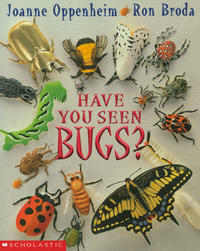 Here are some great nonfiction titles to introduce "Animal Classifications," the Grade 2 science unit. 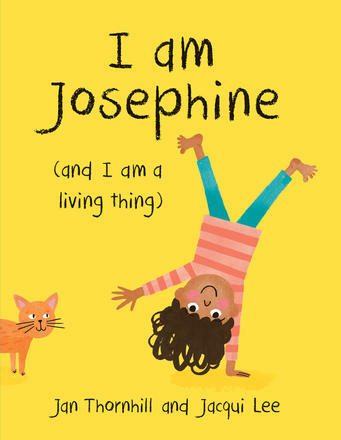 I am Josephine (and I am a Living Thing), by Jan Thornhill, illustrated by Jacqui Lee, acquaints readers with the concept of classifying. “I am an animal, and so is my dad, and so is a fish, and so is a deer, and so is that mosquito that just bit me. (Ouch! )” Josephine is a human being, a mammal, an animal, and a living thing. This playful picture book, which asks the reader to find examples in the illustrations, also has summary definitions of the four categories at the back. 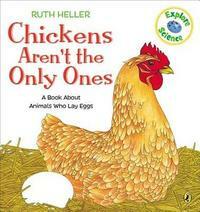 Chickens Aren’t the Only Ones, by Ruth Heller, provides a colourful overview of animals that lay eggs. “Chickens aren’t the only ones. Most snakes lay eggs and lizards too, and crocodiles and turtles too.” Definitions of reptiles, amphibians, insects, fish, as well as mammals (with mention of two egg-laying exceptions: platypus and spiny anteater) are cleverly interwoven with rhyming text. Heller focuses on creatures of interest, like the octopus who hangs its egg in strings and did you know those who lay eggs are "oviparous"? Using the next four titles in a group setting, students could use their newfound knowledge to call out: mammal! insect! amphibian! reptile! with each turn of the page. In Wayne Lynch’s book, Whose Eyes are These? close-up photos of eyes accompany clues. A photo of the whole animal is then revealed, along with interesting tidbits. 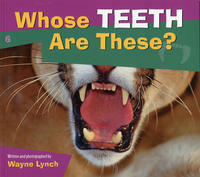 By the time you’ve read all three books, including Whose Teeth are These? and Whose Tongue is This?, you’ll have covered the gamut of animal types, i.e., butterfly, turtle, penguin, lion, anteater, iguana, snake, and beaver (whose teeth look like orange piano keys). 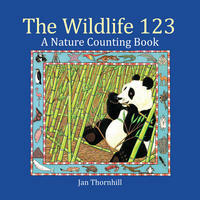 Similarly, The Wildlife 123: A Nature Counting Book, by Jan Thornhill, provides one animal per page, from mammals to crustaceans to reptiles, fish, birds, insects, to tadpoles with brief nature notes at the back. 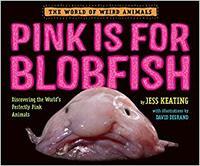 Pink is for Blobfish: Discovering the World’s Perfectly Pink Animals, by Jess Keating, illustrated by David DeGrand, is great way to capture kids’ attention. This collection of unusual creatures, including the blobfish, voted world’s ugliest fish, could ignite discussions. Is a seahorse a mammal or a fish? Is a dolphin warm-blooded? Is an armadillo a mammal? The gastropod nudibranch (picture a bubble gum rose), which extrudes its stomach out its mouth to digest oversized prey, is a sea star but is it a fish? How would you classify hairy squat lobsters, naked mole rats, pink toes tarantulas? Along with humorous facts and expressive close-up photos, each creature’s quirky features are highlighted in this Silver Birch-nominated book. If you’re looking for an inspirational book about fish, try Shark Lady: The True Story of How Eugenie Clark Became the Ocean's Most Fearless Scientist, by Jess Keating, illustrated by Marta Alvarez Miguens. 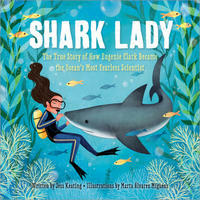 A Blue Spruce nominee, this biography reveals Clark’s devotion to changing negative views of sharks. Milestones include her discovery of three new species and being the first to train sharks. A timeline at the back plots when she hitched a ride on a whale shark, and went scuba diving for her 92nd birthday. There are also a few shark facts. FYI: Clark was only ever bitten by a shark travelling to a school visit; when she stopped suddenly the mounted tiger shark jaw on the front seat clamped around her arm. For a zoom-in on the world’s most active mammal, there’s Elephant Journey: The True Story of Three Zoo Elephants and their Rescue from Captivity, by Rob Laidlaw, illustrated by Brian Deines. A past Silver Birch nominee, it’s the account of three elephants transported from the Toronto Zoo to a sanctuary in California. 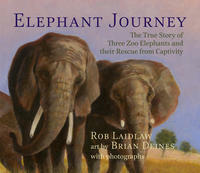 Written as a picture/story book with beautiful illustrations, this one has a few pages of elephant facts. What about the world’s largest animal? 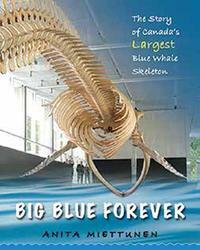 Big Blue Forever, The Story of Canada's Largest Blue Whale Skeleton, by Anita Miettunen, is a Silver Birch nominee. This compelling book reads like a picture book, beginning in 1987 with a dead blue whale washing ashore in PEI. Twenty years later, scientists from University of British Columbia search for the bones. They discover the skeleton missing a flipper. Once it's found (someone had taken it as a souvenir), they transport it to BC. Through photos, the picture book tells the challenge of removing the smell, cleaning the bones, and re-assembling them to hang in a museum. The second half of the book tells the facts of the excavation, the team that worked on the project, real threats to this endangered species, and why we should care. 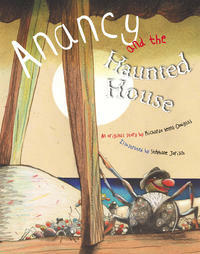 Anancy and the Haunted House, by Richardo Keens-Douglas, illustrated by Stephane Jorisch, stars the infamous spider. In this tale, the overconfident braggart needs to cover the lie that he’s not scared of anything, including the big rooster who dances in the haunted house at midnight. During the dance-off, Anancy is about to be eaten by the fowl when he is rescued by those who he showed off to. 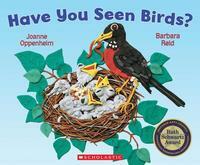 Great read-aloud. 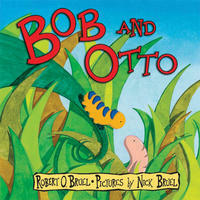 In Bob and Otto, by Robert O. Bruel, illustrated by Nick Bruel, Bob is a caterpillar and Otto a worm. They are best friends, digging all day until Bob feels compelled to climb a tree. The book becomes a split-screen, documenting their separate lives, their separate activities. While Bob eats leaves and builds a cocoon, Otto continues to dig the soil. Bob flies down, looking very different. They decide that he could not have become a butterfly without Otto’s hard work. On her first day as teacher-librarian, Julie Booker was asked by a five-year-old if that was her real name. She's felt at home in libraries since her inaugural job as a Page in the Toronto Public Library. 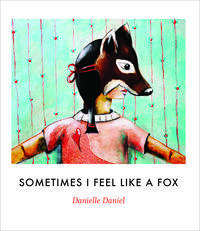 She is the author of Up Up Up, a book of short stories published by House of Anansi Press.